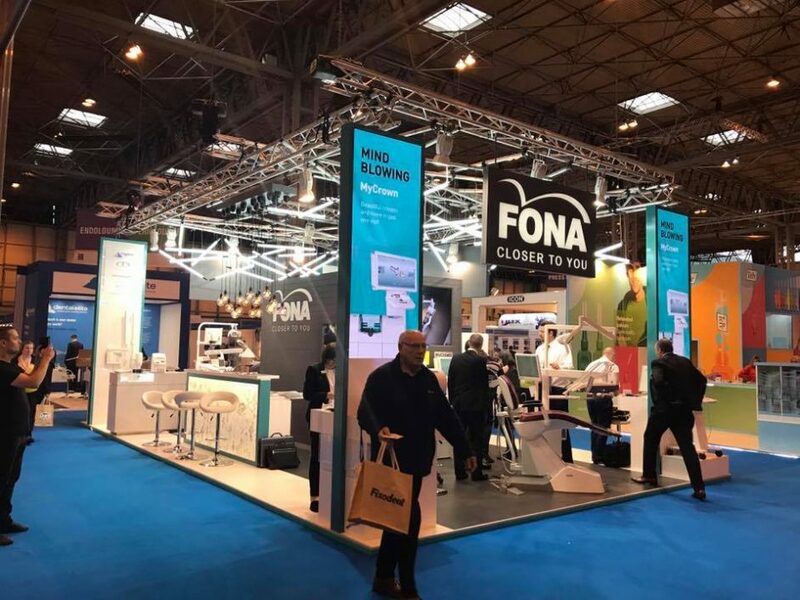 For the first time, FONA attended Dentistry Show, which took place in Birmingham, England. For two days, we had the unique opportunity to showcase our latest products, revealed at IDS, for our customers and fans to see and experience. 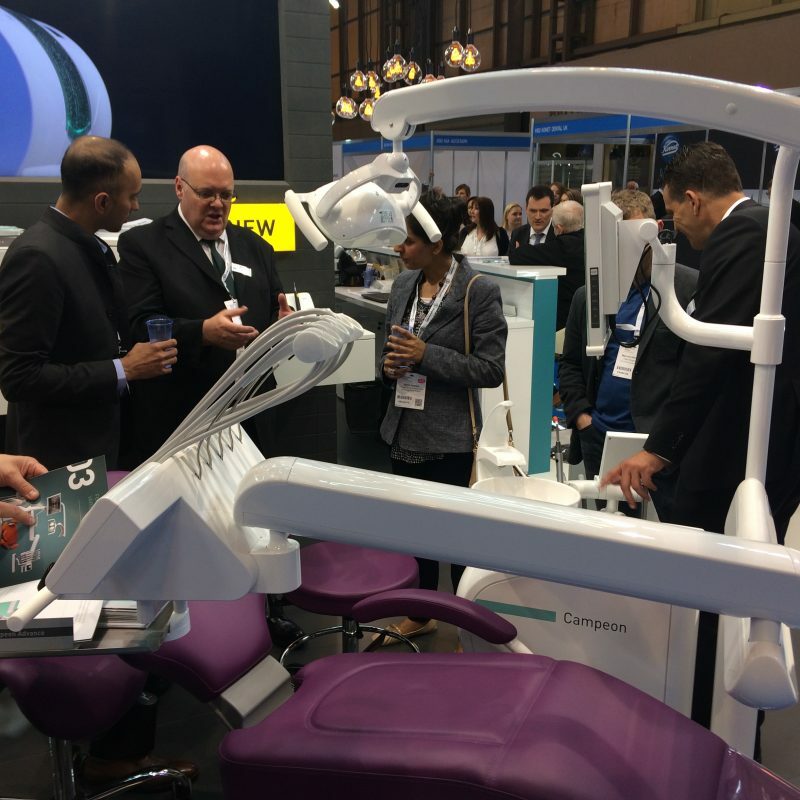 The exhibition attracted over 8,000 dental professionals from across the UK, eager to find out the newest trends and products from around the world. As always, our booth was very busy and with the strong presence and support of our Product Specialists and partners in the area, Clark Dental, JD Dental, Duncan Technical Services, AG Dental, Dental Dynamix, Trigiene Dental and DE:UK, we presented our news to everyone. 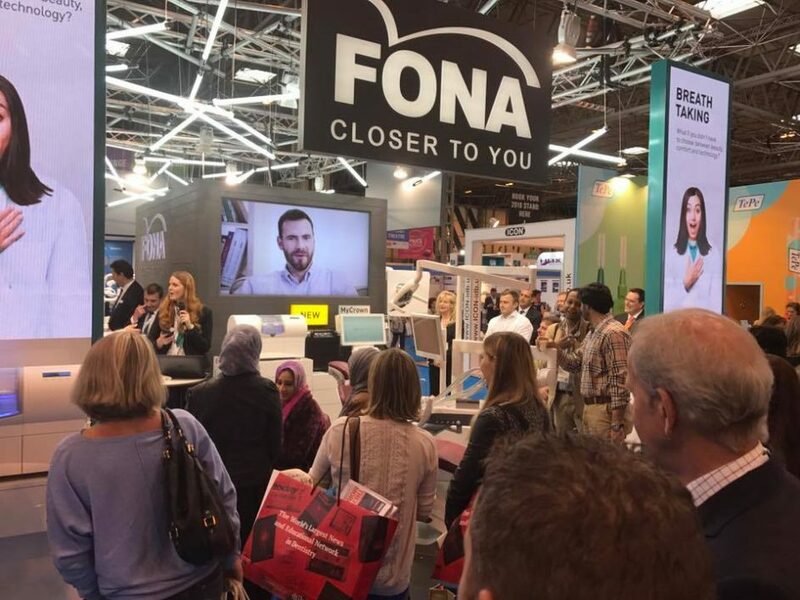 The star of the FONA booth was our new complete chairside CAD/CAM system, MyCrown, along with our new multi-field-of-view system, Stellaris 3D Plus, and treatment center, Campeon, among other products from our already existing portfolio. MyCrown is a complete chairside CAD/CAM system consisting of an acquisition system, design software and manufacturing unit. It allows to create crowns, veneers, inlays, onlays and small bridges in just one visit. 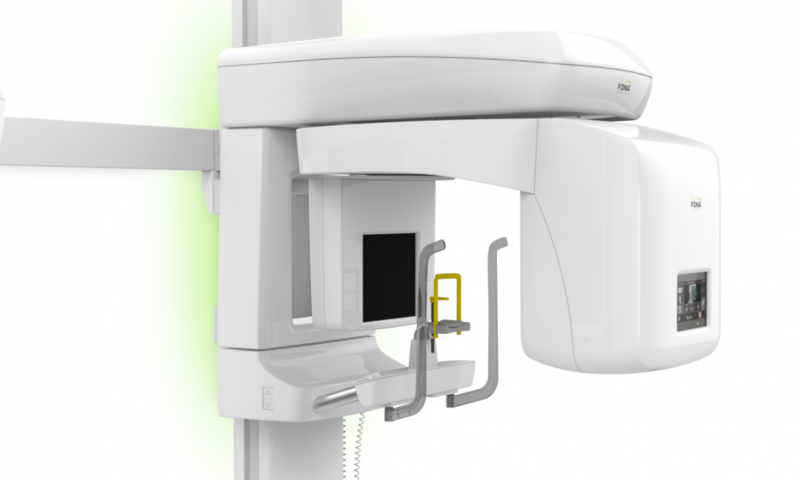 The lightweight and compact intraoral camera, MyCrown Scan, allows simple manipulation and ensures minimal patient discomfort during acquisition. MyCrown Mill communicates with the acquisition unit via wireless connection and can serve multiple acquisition units for easy sharing. 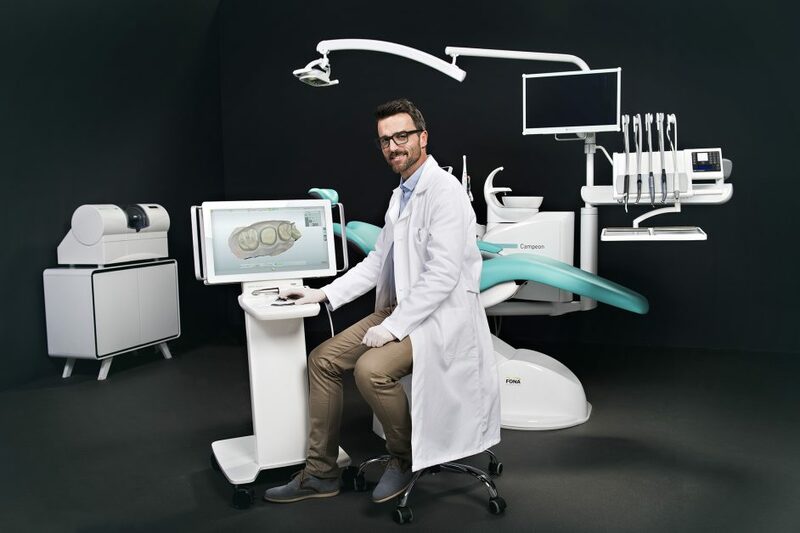 Stellaris 3D Plus is a complete and compact fully upgradeable 3D CBCT, Panoramic and Cephalometric system, which covers an entire range of applications – from endodontics, periodontology, surgery, implantology to orthodontics – everything you need in your daily practice. Resolutions available are ECO, Standard and HD to fit your specific needs. It is a compact and modern unit, featuring an intuitive touchscreen as well as ambient lighting to monitor its status from a distance. During the exhibition, visitors also enjoyed a series of demonstrations of MyCrown and a lecture on how using the system changed the dental practice of our Key Opinion Leader for MyCrown, MDDr. Marek Šupler, MPH. There was also our favourite tablet game, with a multiple-choice question, and one winner selected on each day of the exhibition, along with other small prizes for the runner-ups. Find our next destination HERE and visit us to experience the FONA spirit for yourself!